"Consolidation of the entire international community is needed to effectively fight terrorism, extremism, neo-Nazism and other hreats.,"
Consolidation of the entire international community is needed to effectively fight terrorism and other threats, Russian President Vladimir Putin said at the Victory Day parade on Red Square on May 9, TASS reports. 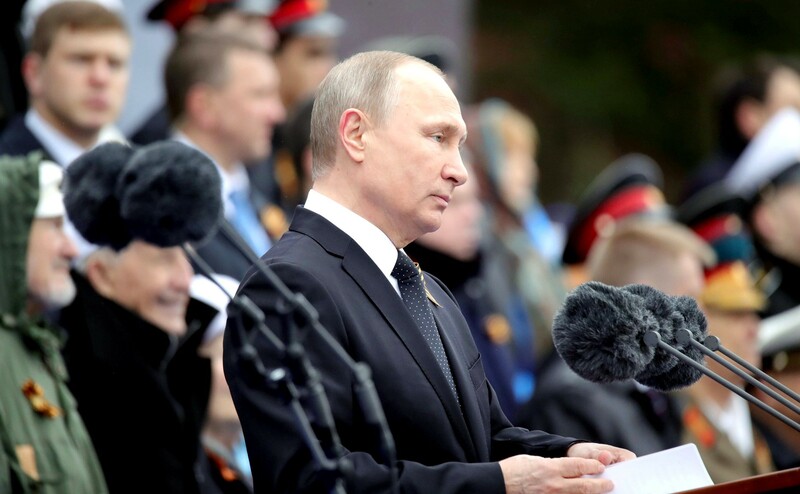 "The lessons of the past war urge us to be vigilant and the Russian Armed Forces are capable of repelling any potential aggression," the Russian leader said, stressing that "today life itself requires increasing our defense potential." "But consolidation of the entire international community is needed to effectively fight terrorism, extremism, neo-Nazism and other threats," the Russian leader said, adding that Russia was open for such cooperation.